Jalan jalan is Bahasa Indonesia for walkabout. Be immersed in everyday Bali. Mingle with more authentic people. Learn/practice your street photography skills. And, the best thing of all is you will capture a priceless experience to share with your friends and family. 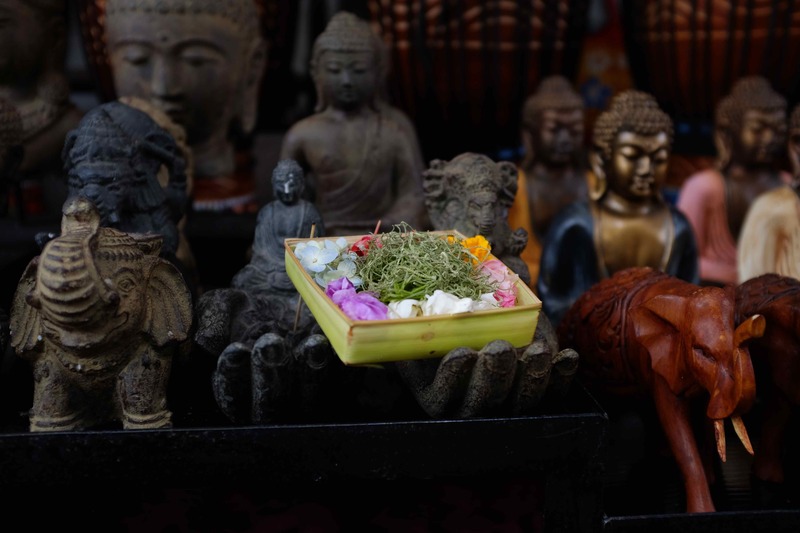 Are you ready for your Pasar Ubud photo tour? Mark captured by Wiwit Ristu. Frames and Layers using a phone camera. Bali Street Photographer tour. Pasar Ubud tour with Mat Bell. This market vendor is accompanied by her Bali Dog. Early morning light at the Pasar. Pulang – time to go home. A young Jamu (traditional Javanese herbal/medicinal drink) vendor smiles for the camera in Pasar Ubud, Bali. Transition time at the pasar. Bali Street Photographer tour. Light & Shadow at the Pasar. Everyday Bali at Pasar Ubud. Pasar street style in Ubud, Bali. Preparing the materials for banten (offerings) in Pasar Ubud. Diane and Bryn from Canada touring the pasar. Enjoying a proper espresso drink in the pasar at cafe Downtown Ubud. Canang (Balinese offerings) and hands at Pasar Ubud by Wiwit Ristu. I love this. We will be down in Ubud next year, to experience Nyepi. These are nice photos that show a different side of Bali. Thanks for sharing. I'm Ready For My Tour!